PRICE FOR TEENAGERS & CHILDREN UNDER 17 YEARS: Free of charge. 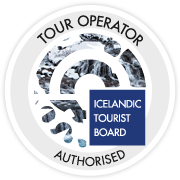 ThuleTravel Hikers Bus goes to thorsmork from 15. of June to 15. of September 2019, every day of the season. Thule Travel Hikers bus starts schedule at 15th June and ends at 15th of September 2019. Have you taken a journey to the highlands of Iceland? 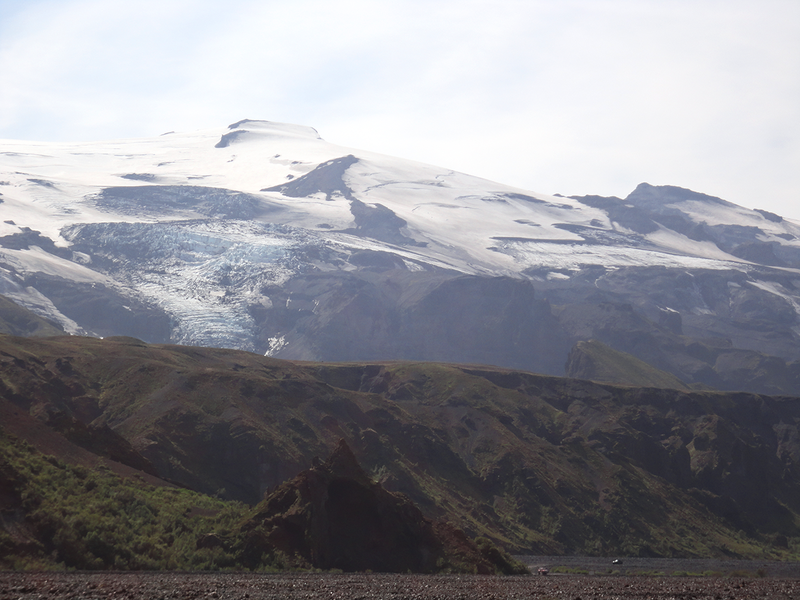 One of the gems in Iceland is Thorsmork (Thor’s Valley) a nature with rivers, mountains, glaciers and many hiking trails. Thorsmork (Thor’s Valley) is a valley between three glaciers Eyjafjallajökull, Mýrdalsjökull and Tindafjallajökull. A nature reserve which is very popular in Iceland for hiking. Þórsmörk in ins the highlands South of Iceland. 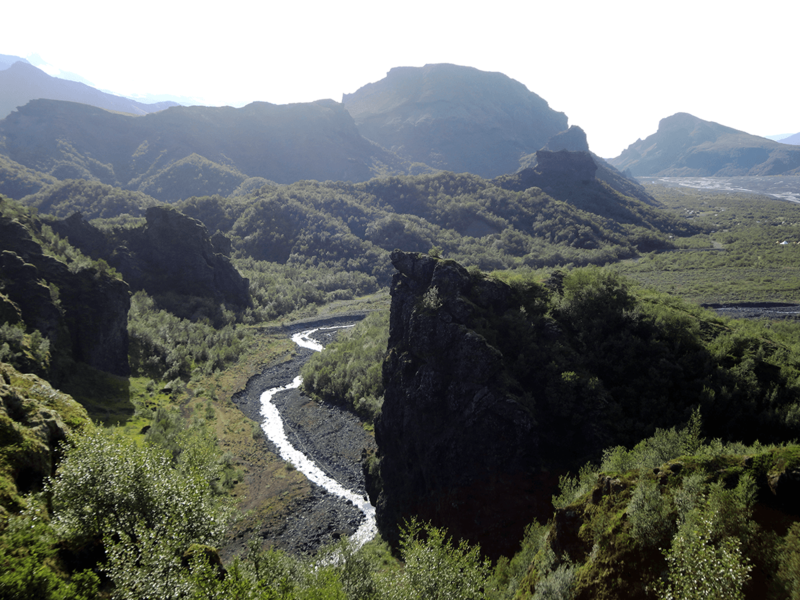 The beauty of thorsmork lies in the amazing landscape, with valleys that are criss-crossed by glacier rivers, hiking trails are all over the place. It is possible to take short easy hikes and longer ones that are take you up to the glaciers or on top of the mountains. it is a landscape which takes your breath away. The road to Thorsmork crosses several rivers. The rivers are unbridged so it is an adventure for those who like to try something new in a nature that is pure and untamed. From Þórsmörk you can hike over to Skógar by Fimmvörðuháls and to Landmannalaugar by Laugavegur Hiking Trail. Fimmvörðuháls is a day´s hike while Laugarvegur Hiking Trail takes a few day´s and you can order mountain huts at Ferðafélag Íslands. Thorsmork Panorma Hiking Trail Estimated Time: 1.5 – 2 hours. 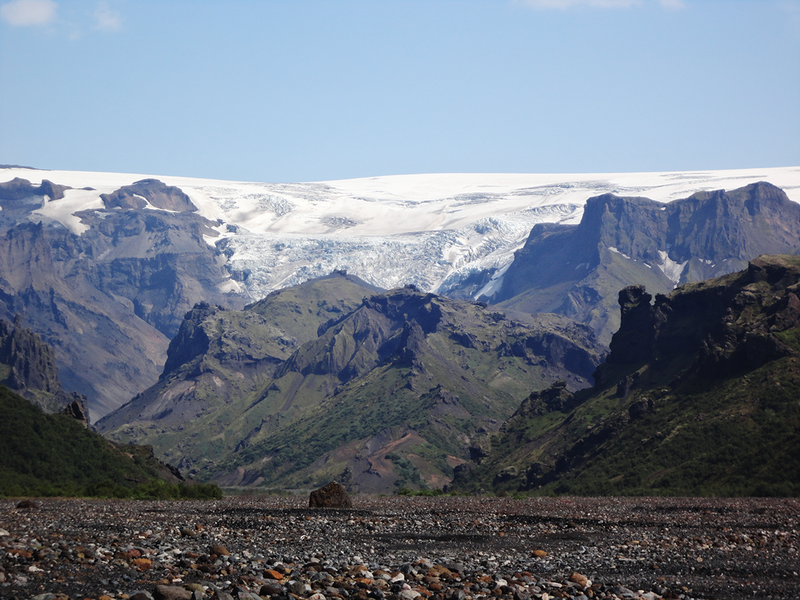 The panorama hike is a short hike, that leads you up to the mountain Valahnjúkur. At the peak you have an impressive mountain view of Thorsmork. As you hike over Valahnjúkur you hike downwards to Langidalur Hut, and from there to the Volcano Huts. On the way you hike through an Icelandic birch wood at the valley of Húsadalur. This is and easy trek well marked and accessible. There are man made steps in the most difficult areas. 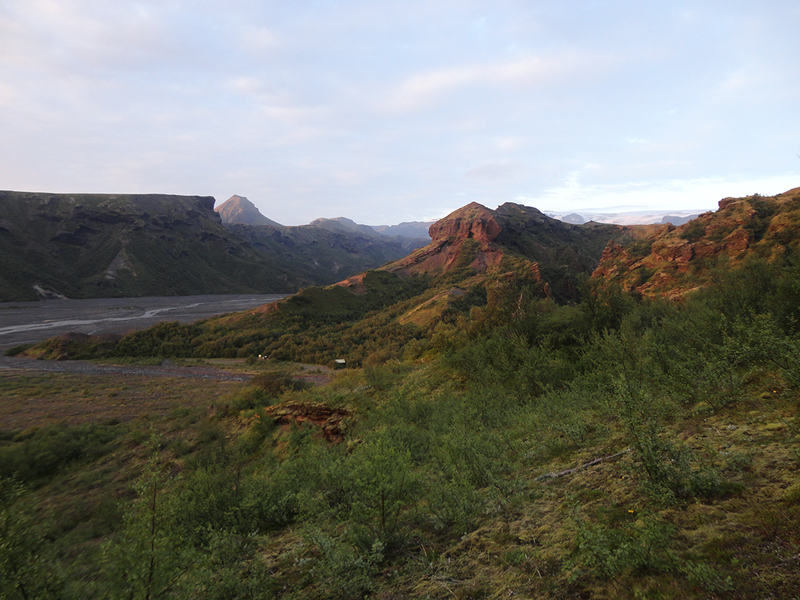 Thorsmork Hiking Trail Highlights Estimated Time: 3 – 4 hours. 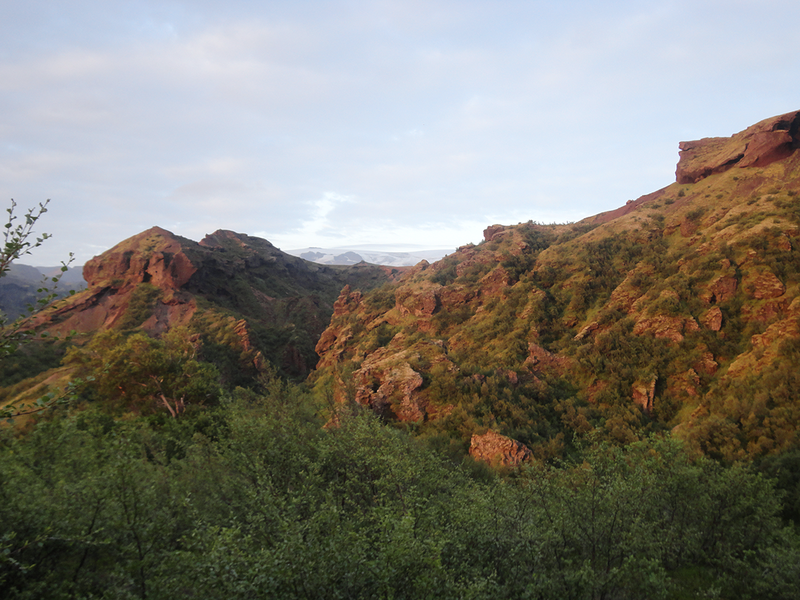 This is a hike with all the highlights of Þórsmörk. You hike through the Icelandic forest birch wood of Húsadalur valley. 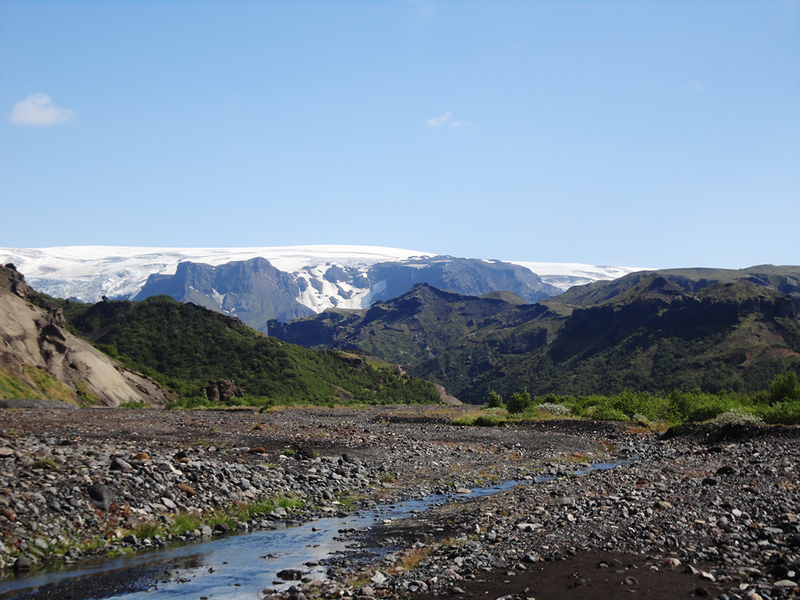 You hike to along Tindfjöll Mountains and from there the hike takes you to the Laugavegur Hiking Trail the end of the famous hiking the trail. 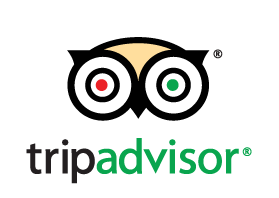 This is a first class adventure, and ThuleTravel Hikers Bus can take you safely there!